In the grim dark future, Seattle is home to freelance mercenaries armed with high technology and magic. Called Shadowrunners, they take whatever jobs they can get, even if they involve murder. One such team needs to get blackmail material on a rich man hosting a most unusual convention. A special thanks goes out to Bridget, a friend of RPPR, who ran this game for us and Noah and Richard from A Fistful of Misanthropes and Role Playing Exchange. Enjoy! Oh boy, the ‘mistakes were made’ tag! I lost it when Ross wanted an “armored” costume for the convention. You devious devious player. I second the ‘mistakes were made’ tag. This is RPPR’s first recorded foray into Shadowrun, correct? Lone Star lost the Seattle contract to Knight Errant in 2071. KE doesn’t have the same “history”, but it would actually make more sense for them to have fancy new weapons as they’re a subsidiary of Ares. the plot doesn’t work if it’s not odd for the police to have competing prototypes; it needs to feel very out of place, moreso than just bringing assault weapons to a public security job. Wait. Aaron, playing a rigger? Inconceivable! Oh lord, of course therians (furry otherkin) would be crying “me-too” after the awakening. Well, that was interesting. A big three-to-six-way slaughter just waiting to happen, and you guys have to keep the peace between the three main factions and their doomsday clocks for long enough to thoroughly compromise VIPs and figure out just what is going on. But in the end, you didn’t figure it out fully and it came down to the coin flip and dealing with its consequences. The ‘coin-flip’ was interesting too. I just kept thinking “NO, you’re going to BREAK THINGS WORSE!”, but there was really no way of telling. Both options (guy probably gets turned into/replaced by/possessed by… something… and pay-day is in jeopardy, plus risk of civilian casualties in an unknown ritual and release of whatever said ‘something’ turns out to be OR everybody who knows what they’re doing (besides maybe Kitsune and the target) killed in a terrorist attack in the middle of the concert, the chaos giving Lone Star a possible excuse to start a massacre, plus risk of civilian casualties in a FAILED unknown ritual) sounded bad given the party’s lack of specific knowledge. The first is more high-risk-high-reward, as the ritual could be relatively harmless and you still get your money… or the target/everybody gets sacrificed, meaning no money or even a TPK + civilians. The second is always bad (the employer wanted quiet and clean, and the consequences start at ‘multiple murder of high-profile individuals cleanup’ and go sharply up from there), but provides the players more control over the outcome insofar as salvaging the situation, whatever consequences turn out. I guess if the investigation had gone better there might have been more clues, but with what they had I was strongly in favour of letting things play out. The point about him not being susceptible to blackmail after being sacrificed in a strange ritual was a fair point though, though his babble about ‘rebirth’ and assumed motives indicated he thought he would continue as an entity, though it’s uncertain what the legal ruling would be in the case of ‘turned into Something Else in a secret ritual’, or whether Johnson would pay for it. Also, this whole game was hilarious. Wolf Knight needs to become a costumed vigilante, cleaning up the streets of Seattle from street gangs and hate groups with his disappearing, reappearing assassins and their overspecced hand-cannons. Or at least false rumors about this need to be spread over the Matrix until people believe it’s true! When you can make your enemies fear something utterly ridiculous, you’ve won, right? 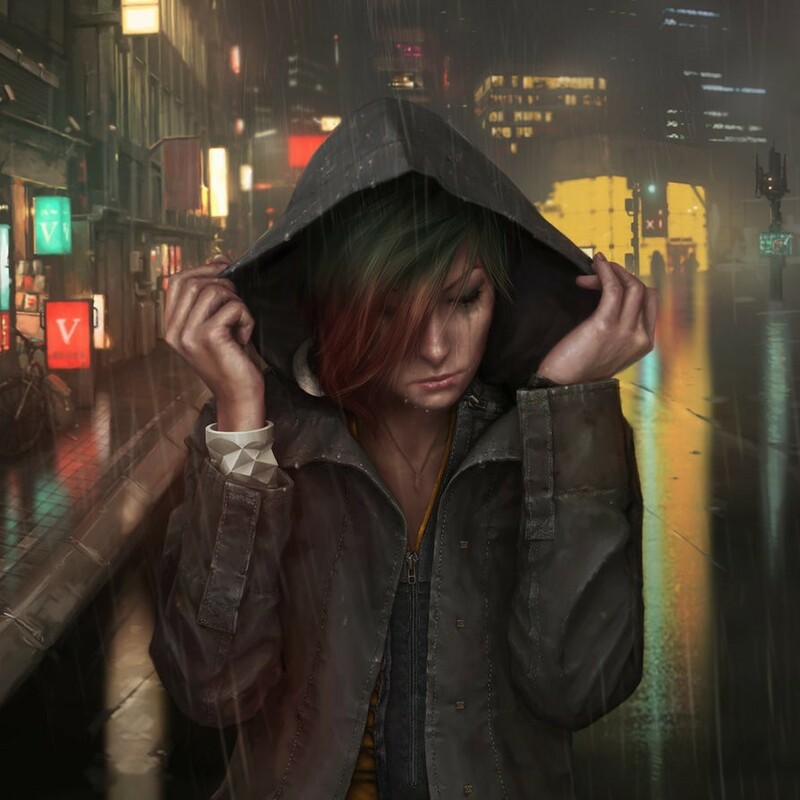 Will we be seeing more Shadowrun in the near future? This was a blast, would love to hear more. You can tell it’s a Shadowrun game when the characters start comparing their ammo loads. This was some Dungeon Crawl Classics level of greatness, Bridget was great as DM and Wolf Knight = The Hype. I have to say, I’m really impressed by Bridget’s GMing here. The cyberpunk-noir narrations were amazing. This episode was made for some RPPR Illustrated artwork! Hopefully we’ll see some of that! Very cool game. Well run and played. The end- “What should we do?” was pretty up in the air, on what the correct course of action would be. Failure can(and does) make for some good fun, though. As a furry this was a fun outsiders look in on what could be popular in the fandom post-awakening. Loved how quickly people just went all in on suits. Faux fur is very flammable. Currently listenning to it while commuting to and from work and while waiting my turn for my physio therapy, and I gotta say, this adventure is cracking me up something fierce! I burst out laughing in the bus with question about furry costuming being inflammable. probably my fave Shadowrun adventure AP out there! This was a lot of fun. 1) I made the mistake of googling Rain Furrest 2015. Dear Lord. (Because the 2077 show was the triumphant return after 62 years, and well, math.) Crinkling. Why?! And 2) I absolutely loved Bridget’s delivery. I felt like every response was a variation on ‘take a step further into my trap.’ #goals. Her enthusiastic “Sure!’ and ‘Yeah!’ to every idea that was about to lead them further into the briar patch.